This page will discuss the biology of seeds and issues concerning successful seed raising in general. Better germination may be a matter of "the vibe"
Seeds of popular flowers, vegetables and herbs are available at most gardens centres and the garden departments of hardware and variety stores. Heirloom or unusual varieties may require you to seek out a more specialised supplier (see Annual Flowers, Vegetables or Herbs). If you are revegetating a natural environment, you might be able to obtain suitable seed from companies that specialise in collecting seed for this purpose. 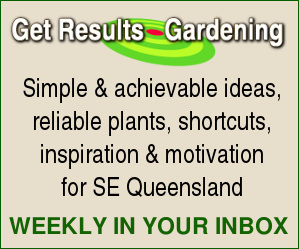 Contact a local Landcare, native plant society or other environmental groups active in your for more information (see also The Australian Native Plant Pages - Links Page). Seeds of non-native ornamental trees, shrubs and perennials are much harder for the home gardener to obtain commercially. There's a chance that some seeds of this type might be offerred for sale via this website in the near future, so if there's something you're looking for, drop me an email and let me know (go to Looking for a Supplier?). 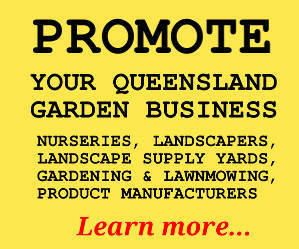 If you operate a business selling seeds to the public in Queensland (including online/mail order), find out more about advertising on this page here: Advertising information. Raising plants from seed is a fascinating and satisfying aspect of gardening. On a more practical level, it's a necessary skill if you want to fill a vegetable garden cheaply and it provides options for obtaining a variety of ornamental plants that might be otherwise unprocurable. Professional growers, of course, produce many plants (or rootstocks) from seed as a cost-efficient propagation method. Seed raising isn't always straightforward, however. If your efforts aren't successful, don't necessarily assume the seeds are dead or that your skills as a propagator are to blame. The seeds could simply be dormant. Seed dormancy factors affect the speed and uniformity of germination, and have implications for seed storage. Therefore, an understanding of dormancy can be useful for anyone involved in raising plants from seed. Not all seeds have dormancy factors. Some will sprout provided environmental conditions (moisture, oxygen, temperature etc) are suitable for growth. Many plants, however, employ dormancy mechanisms. In some cases, the seed may require quite particular conditions that make germination difficult to achieve in an artificial environment, but this is not in itself dormancy (although it may be just as frustrating for the gardener). Botanically, dormancy is a "block" or "lock" on germination. Depending on the species, dormancy may reside in different parts of the seed such as the embryo, the endosperm or the seed coat and more than one type of dormancy can operate on the seed at the same time. Impermeable seed coat - The propagator can mimic the natural action of abrasion, fire or an animals' digestive systems with seed treatments such as cutting, sandpaper, heat or acid, a process known as scarification. Chilling or warming requirement - A temperature treatment (usually applied with moisture) to overcome dormancy is called stratification. Presence of chemical inhibitors - These need to be leached away or degraded. (Inhibitors sometimes occur in the fruit tissue surrounding seeds, also). Requirement for chemical triggers - For example, many fire-adapted species respond to substances in smoke. Light requirement - Amount and/or wavelength of light can either inhibit germination or stimulate it. Whether a seed is buried, exposed or shaded by a competing plant has obvious implications for its chances of survival in various habitats. Embryo immaturity - after being shed from the mother plant, the embryo may require further development inside the seed before it can germinate. A wide range of dormancy mechanisms exist in the plant kingdom. In a given species, these may apply individually or in combination. In the latter case, dormancy-breaking treatments may have to be applied in a particular order for germination to proceed. Just to complicate matters further, dormancy may vary from one batch of seed to another, and unfavourable environmental factors can induce dormancy in seeds that weren't dormant before (secondary dormancy). The imposition of dormancy by a hard impermeable seed coat is not widespread in the plant kingdom, but is very familiar to gardeners because it's common in the legume family, including ornamental species like Acacia, Bauhinia and Delonix (Poinciana). This form of dormancy may also be encountered in the hibiscus, geranium, lily and canna families. Seeds possessing such dormancy generally have a specialised pore or plug that regulates water transfer. In nature, exposure to traumas such as fire or passage through an animal's digestive system cause sufficient disruption to permit entry of water. In a commercial or laboratory setting, abrasive, temperature or chemical treatments can be applied (scarification) to make the seed coat permeable enough to allow water entry and initiate germination. For the home gardener requiring just a few plants, nicking or sandpapering the seed coat is the most straightforward method, taking care not to damage the seed excessively. A simple hot water treatment can also be used and is popular for Acacia (see bibliography below). Smoke has been found to enable or enhance germination in a diverse array of Australian species, although the phenomenon is not restricted to plants from this continent. The discovery means that a wide variety of Australian native species can now be considered for horticultural production, and could even have implications for gardening and farming more generally. The smoke effect is distinct from any heat effect of fire. In the nursery, seeds can be exposed to smoke in a special tent or soaked with water through which smoke has been passed. The latter is very convenient for the home gardener because smoke water is now available commercially. Note that additional dormancy factors may also be in play when attempting germination of a given species. The biochemical basis of smoke stimulation is the subject of ongoing research. One group of plant-active molecules from smoke called karrikins has been recently discovered. The finding that many species not normally associated with fire-prone habitats, even some garden vegetables, are responsive indicates that there's still much to be learned and may even lead to development of new agricultural chemicals. One of the most common backyard crops with dormancy issues is lettuce. It's response to light has been well-studied. Red wavelengths (strong in direct sunlight) stimulate germination and far-red light (predominant in light filtered through leaves) inhibit it. This has an obvious evolutionary advantage, as seeds germinating under established plants are unlikely to be successful. Lack of light can also induce dormancy in weed seeds. If buried, they can remain viable for years, waiting for exposure to spring into action. The gardener can exploit this knowledge to reduce weed problems with appropriate cultural techniques such as no-dig/low-till methods and mulching. An additional problem with lettuce is thermoinhibition. High soil temperatures will inhibit germination, and if they last long enough, may cause the seed to enter secondary dormancy. In the garden, the actual response will depend on the cultivar of lettuce as these responses have a genetic basis. Like other forms of dormancy, conditions under which the seeds were produced and stored can also potentially affect subsequent dormancy behaviour. Dormancy problems can be eliminated by breeding, or minimised via production methods in the case of commercially produced seed. They can nevertheless provide hurdles for the home gardener, who is likely to be propagating plants that have received relatively little scientific study, (compared to the most important crops), or home-produced seed. The precise mechanism(s) employed by a particular species will be greatly influenced by the habitat in which it has evolved. Undoubtedly there is much still to be discovered on the subject of seed dormancy in the plant world. Besides the economic advantages to the farmer or production nursery of faster or more uniform germination, unlocking the secrets of dormancy could make a difference to the survival of endangered species. If the dormancy-release mechanism (e.g. fire, animal) is removed from a habitat, the plant too may eventually disappear. While vegetative propagation may be one way of rescuing plants from the brink, greater numbers can be propagated and distributed, and greater genetic diversity preserved, more cheaply and easily with seeds. For information on specific plants, check the page dealing with that particular group. Menu here: Plants. Germinating seeds in plastic bags Society for Growing Australian Plants Queensland Region, Inc.
An internet search will quickly turn up lots more advice on seed saving. Note that some plants might require special conditions and/or a very limited storage period. This tends to be true of tropicals and citrus, for example. If in doubt, sek more information on the plant group concerned.